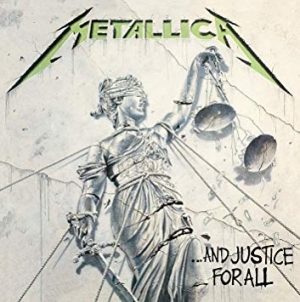 And Justice for All may very well be peak Metallica. Metallica’s fourth LP isn’t a walk in the park, but that’s not a bad thing. In fact, it’s a testament to the band’s insistence on pushing the boundaries of its genre as far as it could go. However, …And Justice for All isn’t easy to listen to, discuss, or write about because the album’s story, from its beginnings to its legacy, is pregnant with conflict. Coming off the death of lauded bass player, band member and friend, Cliff Burton and the hiring of Jason Newsted, Metallica was determined to make the toughest, hardest, fastest, most progressive and most transgressive album it possibly could. All the while, they were dealing with grief, inner turmoil and the potential of breaking into the mainstream unlike any other band of its kind had before. As such, Justice took the band’s musical evolution to it’s natural end point: atypical song structure, loads of unusual time signatures woven quite brilliantly into thrash metal, blends of handfuls of riffs from song to song, darker lyrical themes and darker music. 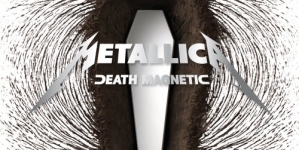 What all of that congealed into is a 65-minute-long beast of a record (with tracks running from five to nine minutes long) that is as praised for its brilliance as it is criticized for production values that effectively ended the ‘80s iteration of Metallica. For better or worse. Most would suggest for the worse. For all of Justice’s magnificent qualities, it’s generally understood that the unity the band felt during the Master of Puppets sessions had died with Cliff Burton, and the final product suffered for it. Newsted’s bass style did not match up with Burton’s at all; his tracks were recorded without the rest of the band present. Whether it was due to hazing (which is still the accepted story to this day) from James Hetfield and Lars Ulrich, or producer Flemming Rasmussen taking a backseat for the mixing process, or Hetfield wanting a more guitar-heavy sound, the bass is nearly inaudible. The bass is so low in the mix that the guitars sound tinny and flat. Whatever happened with the drum production (which the band has more or less struggled with on each album since, most famously on 2003’s St. Anger), makes the snare drum sound like a popping midi track. While all of this can be overlooked because of the strength of the music, the band’s personal turmoil is responsible for a rather odd-sounding record. 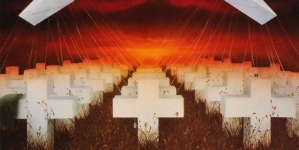 In spite of everything, Justice sold nearly two million copies by the end of 1988, and became the first underground metal record to make the Billboard charts in the United States. This of course can be partially attributes to the fever dream music video for “One,” which is still one of the band’s most-played and well-loved songs. But the band’s tenacity for pushing their limits as musicians is the driving force behind the album’s success. Songs like “Blackened,” “Harvester of Sorrows,” “One” and “Dyers Eve” don’t come about from just any thrash band, and critics and fans alike could see that Metallica had transcended the genre and become something else entirely. 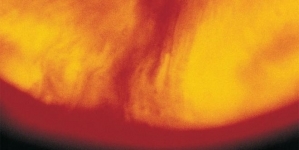 History shows that the post-Burton woes of the band were not a one-off occurrence. These issues continued long after Justice had taken the crown as a ground-breaking, genre-blurring monstrosity complete with both mind-boggling aggression and eagle-eyed focus. 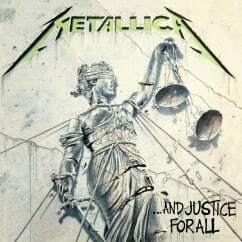 But one thing remains in the hearts and minds of Metallica fans: depending on which band you like best—the ‘80s thrash experimental Metallica or the ‘90s rock ‘n’ roll focused Metallica—Justice could be considered both a beginning and an end: the beginning of the massive success that’s followed the group despite their many oddities and quirks; or the ending of a thrash fan’s dream. Whether it’s the complexity of the music, or the fracturing interpersonal relationships between bandmates, or the push and pull between music and sound quality, or what has happened since Justice’s release, this is not an easy album to discuss. But that’s part of its appeal. 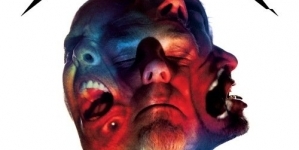 Metallica made a record that still starts arguments between fans. The only thing fans may agree on is that …And Justice for All may very well be peak Metallica.